We booked our November 2018 cruise on the the Carnival Victory through Alisa at EECC travels. 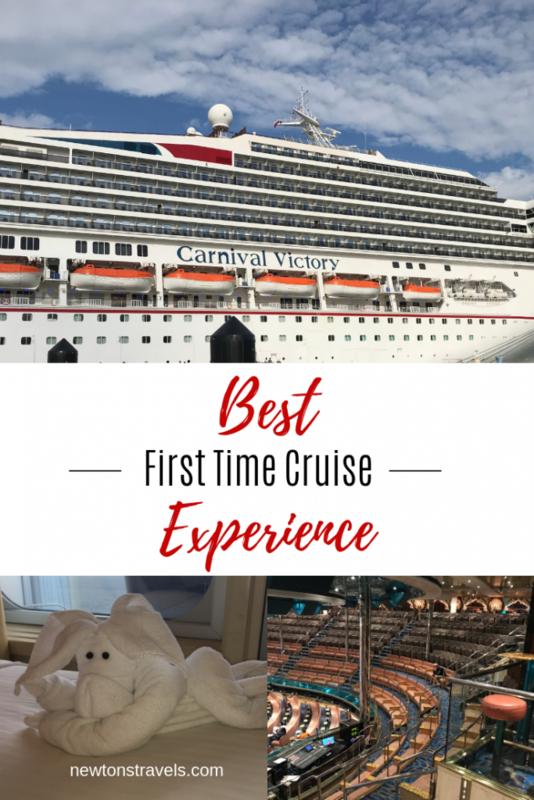 I did most all of the research on my own and knew what cruise we wanted to take but she helped me out with specifics and things to think about since it was our 1st cruise. It was pretty much a last minute booking so we didn’t have to wait long. And it was the best first time cruise experience. 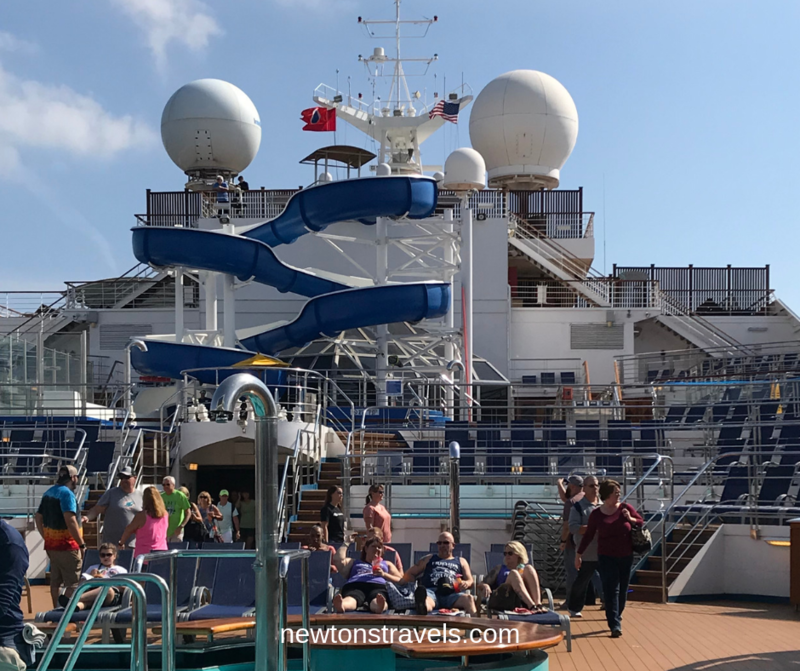 We chose to set sail on a 4 day cruise for various reasons. Looking back, I think we both wished it was longer. We booked Carnival’s Western Caribbean Cozumel Plus from Miami cruise. 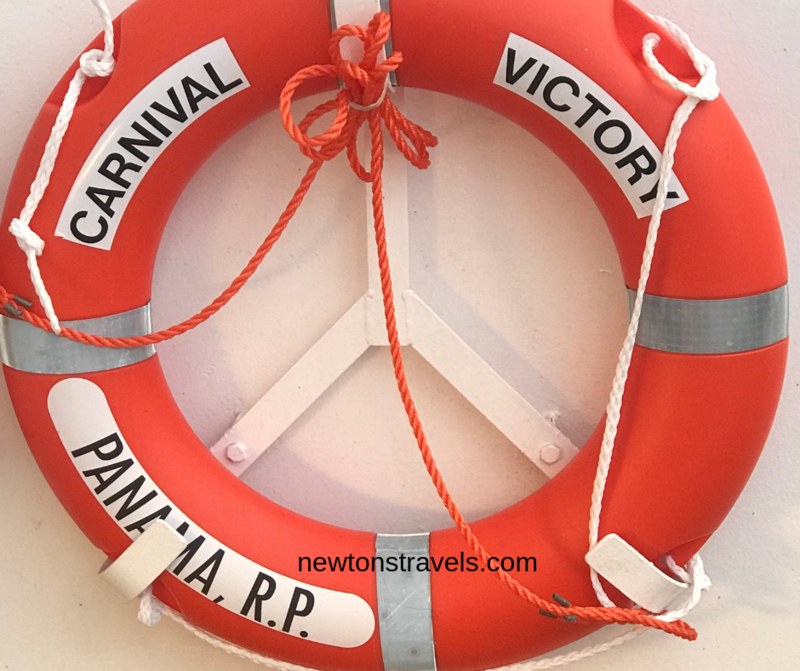 In 2015 the Carnival Victory went through a remodel and in 2018 had more updates. The Carnival Victory has a guest capacity of 2,764 and a crew of 1100. WOW! We really enjoyed it. Hubby already wants to plan the next cruise and keeps sending me deals to look at. I’m currently researching for July since we’ll be in Miami for a wedding. I just don’t look forward to a crowded ship with summer break but we’ll see. Kev also wants to start planning cruises for Hawaii and the Mediterranean. And now I’m already thinking of how we could manage a family cruise with all the grands and their families or at the very least 3 of our youngest granddaughter’s for now (we did have a blast with them in California last summer). It’s crazy how we have caught the cruising bug. It’s most likely because he didn’t get sea sick YAY and now there is no stopping him Ha ha! But seriously neither one of us were apprehensive about the cruise at all. I was excited. We had prepared for sea sickness just in case with PSI bands, Dramamine and Peppermint essential oil. You could also drink Ginger Ale or bring ginger candy. Green apples help too but from what I hear you can’t bring those on the ship. Let me back up a little….. I highly recommend that you plan to arrive the night before or sooner to your port city. In our case it was Miami, Florida a place I absolutely LOVE. We had a flight due to arrive a day before leaving on the cruise. The weather in Chicago didn’t look promising as a snow storm was brewing. American Airlines offered to change our flight for FREE to leave a day earlier so we took them up on the offer. We flew in late on a Saturday night and had all day Sunday to hang out at Bayside Marketplace, Miami’s outdoor shopping center. It was awesome. The YVE hotel set up our transportation to the cruise port and we were off. We arrived at the Port of Miami via our Lyft driver. We handed off the 2 bags we were checking to a porter, gave him a tip and went on our merry way to Carnival’s Faster to the Fun line. That was cool. They checked our passports and travel documents, sent us through security for scanning then into a separate waiting area for Faster to the Fun peeps. Surprisingly it was easy and quick to get through. They called our group to meet the photographer for pre-boarding photos. After that, it seems like we walked miles just to get on the ship. Just kidding. I wanted to stop for a picture and the security lady said, “No photos allowed.” I thought that was weird. Here’s where Carnival’s Faster to the Fun could use some work. We were told our room was ready early, which it was supposed to be since we paid for the program. Being our first time on a cruise, the big doors to the hallways that take you to the staterooms were closed and said not to enter until 1 PM. 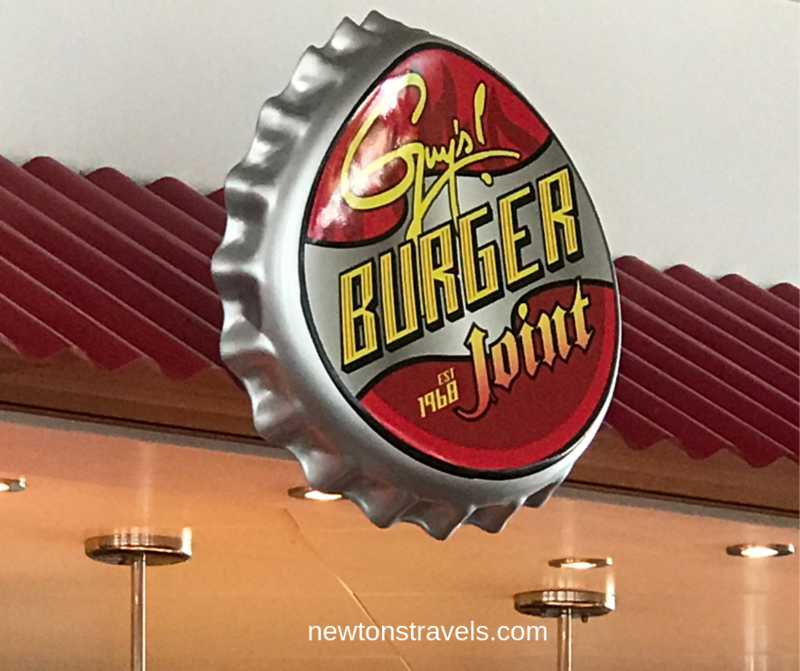 We obey rules, not knowing any better how it all worked and headed to lunch at Guy’s Burger joint. When we were done, I thought we should check on the room again, the doors were still shut. So we went to guest services where Faster to the Fun has their own customer service line. Thank goodness, no waiting. Nice perk. The gentleman said the room was ready and to go on ahead. Our luggage was supposed to be there. It wasn’t. No biggie BUT it was part of the program so we dropped off our carry-on’s and went back to guest services. He called someone about our luggage and it wasn’t too long until it was delivered. The envelope with our Sail & Sign cards was there by the stateroom door so at least we had the keys to the room. And I had bought these lanyards for us to make it easier to carry the Carnival cards around. One of the many recommendations I read online. We are glad we had them! Now that we know the lay of the land, we would definitely buy Faster to the Fun again. I think the perks are worth it. You can read more about Faster to the Fun further down in this post. We unpacked once we got our luggage, watched some of the Carnival Victory information on the TV and enjoyed time on our balcony. Then we headed off to the mandatory Muster Drill. Let me tell you about THAT before we get to the fun stuff. Don’t get me wrong, I’m not complaining AT ALL about having to go to this because I think it’s great and we should all be prepared in case of an emergency but I tell ya their drill could use some major work or maybe a drill sergeant and this was only our first cruise to experience it so that should tell you something. Be prepared to sweat and be really close to others you don’t know for at least an hour. Quite a few people had to leave the area due to extreme claustrophobia. The drill won’t start until everyone is checked in (they use your Sail & Sign card to swipe and verify that all passengers are in attendance). And like I said, they need someone to take the lead like a drill sergeant and get things moving. And PLEASE whatever you do, STOP using your phone and stay quiet when they ask you to, so we can get on with the drill. Most people don’t follow direction well so if you wonder why you are standing there for a long time, those are the two reasons. Now let’s get to the good stuff. We felt like we were in our own little world on the water. With elevators spanning 14 floors. It was amazing! We really loved having a room with a balcony and spent quite a bit of time there. To me, the balcony was the best part and made this first time cruise totally worth it. I thought it would be the perfect place to read a book I brought but nope that never happened. 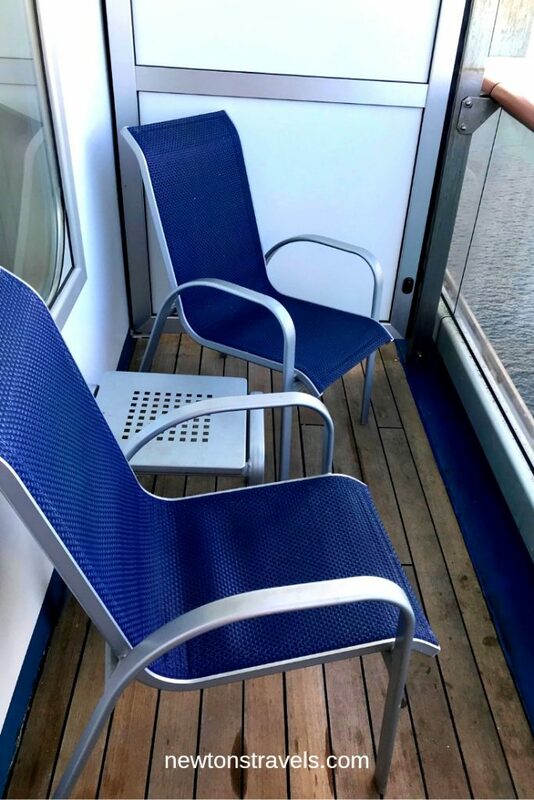 We have decided that no matter what, we will always get a stateroom with balcony when cruising. It was totally worth it. The room was small but for the two of us perfect. There was a pull out couch and bunk for extra people but I think it would be terribly close quarters and maybe uncomfortable if we had anyone else in the room. We immediately unpacked and put everything away in the closets and drawers, bathroom, etc. The closet and drawer space in the room was impressive for such a small space. The bathroom was a great size, I was expecting smaller almost like the bathroom at the YVE hotel we stayed at in Miami where you could sit on the toilet, wash your hands and shave your legs all at the same time. It was hilarious. That hotel review will soon be on the blog too. Anyway, back to the stateroom bathroom, it had a toilet, nice size sink/counter space, shower and shelves to organize bath items. In the shower they had an awesome dispenser (similar to this) with body wash and shampoo. They had the same thing at the YVE hotel and we loved it so much, I think we’ll be buying one for each of our bathrooms at home! The boat was a rockin and I don’t mean THAT kind of rocking (see the video of the pool above). Our first night/day at sea was quite rough. It was so weird but we did just fine although we had to hold on to the hall railings at times. Try taking a shower on rough seas. Good times. We slept really well on the cruise, the beds were comfy. Even through rough seas, I still say it was the best first time cruise experience. Our steward was great and always helpful. Especially when we needed help with a broken fridge and a flooded shower. The small issues were taken care of right away. Plus he made fun towel animals and left them on our bed. So cute. We’ll start with the balcony view. Pure Heaven! We loved it. Watching the cruise ship glide along the beautiful blue waters, the waves below us were mesmerizing. I could sit and watch that all day….but there is so much to do. The view from the upper decks of the Carnival Cruise ship and really anywhere on the boat were quite amazing. Make sure to take them all in next time you are on a cruise. From everything I read, I was expecting the dining to be something out of this world. I can’t say it was that memorable though except for one instance where they brought Kev his soup and it looked like it belonged in a miniature doll house. We all had a good laugh about that one! 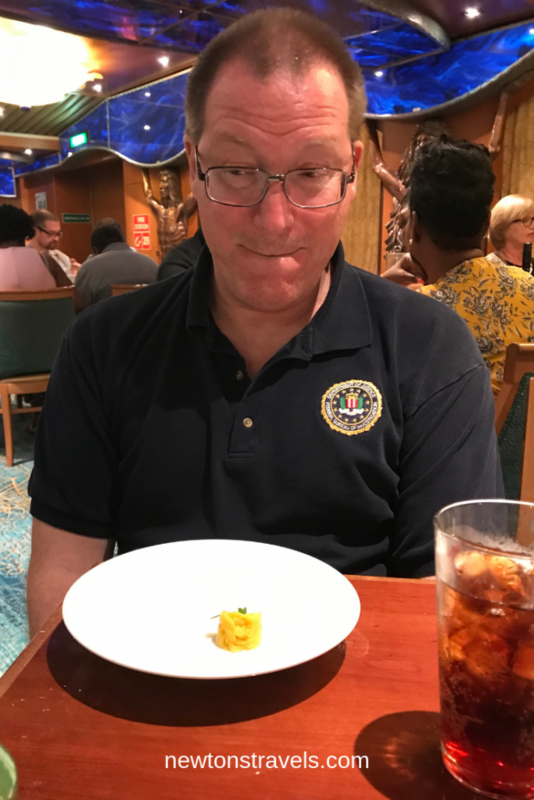 I thought for sure it would be non stop eating on the ship with most everything included but that wasn’t the case at all and thankfully I didn’t over indulge. 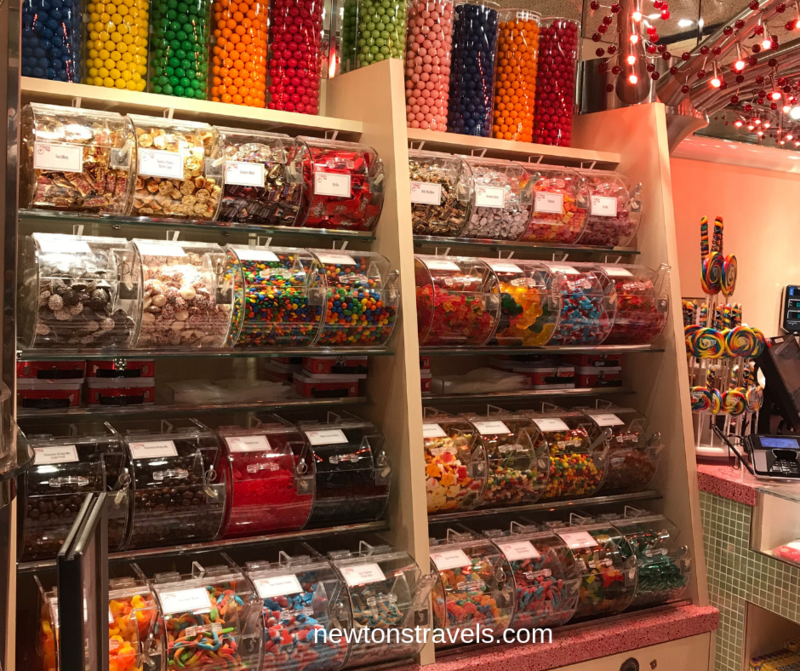 I did have one amazing dessert every.single.night with dinner in the main dining room (it was so good I completely forgot to grab a pic of it) but other than that oh and the candy store goodies, I was pretty good with my choices. Kev liked the late 3 course dinner in the main dining room (it’s one of the free options) but I didn’t really care for sitting with others at dinner. I’m not a party pooper but I prefer to sit alone with my honey on a getaway cruise. Although the couple we sat with were fun, it’s just not my cup of tea. 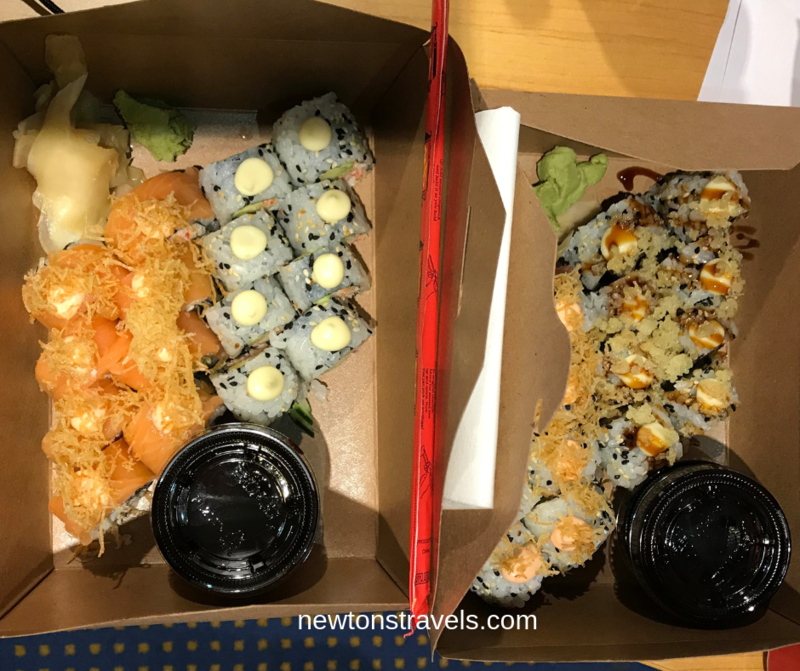 Booking our cruise last minute, we were not able to choose our dinner time and got the late dining option. Hopefully from now on we’ll book sooner so we can choose an earlier time slot for dinner in the main dining room. I read we should take dressy outfits for dinner but none of the restaurants required it. I would probably still bring a dressy outfit next time, just in case. Our servers in the main dining room were great each night. They asked us our names the first night and always remembered them after that. I know they have our info in the computer system for what table we’ll be seated at (611 by the way) but they had to remember what names belonged to each person. They were fun! There were soft serve ice cream and drink stations. Plus a huge dessert bar and salad bar on the ship too. 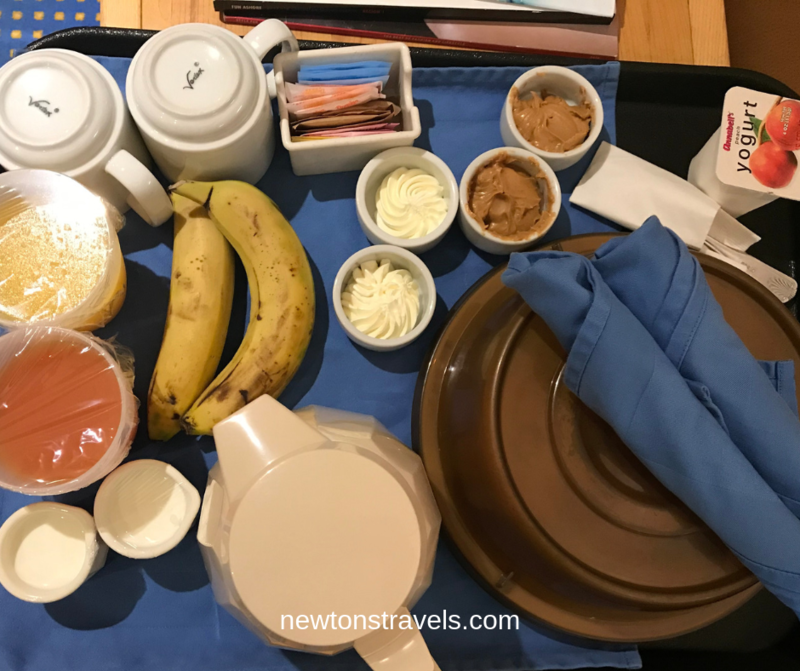 We did use room service for breakfast one day. I really enjoyed that so we would do that more often next time, on a longer cruise. We heard talk online recently about having to now pay for room service (it was free when we went except for tipping of course) so we’ll see. I imagine we would still do it even if we had to pay. Maybe. Bottomless Bubbles Yay or Nay? Lastly we bought the Bottomless Bubbles soda package they offer so we could get free sodas the entire trip during meals, at bars, etc. Looking back, we would not buy that again. You are permitted to bring one 12 pack of soda cans per person on board and that was way to much for us for a 4 day cruise. The soda tax while on board in U.S. waters/ports is not included so we had to sign for and charge that $.19 here and there to our room whenever we had soda (this was while docked in Miami and Key West). Next time, we would not buy Bottomless Bubbles and only bring one 12 pack of soda that we both would enjoy. We did buy 2 large cases of water from the Carnival Fun Shops before our cruise and would definitely do that again. They were already in our room when we arrived. All the pools and hot tubs were pretty crowded the whole time. 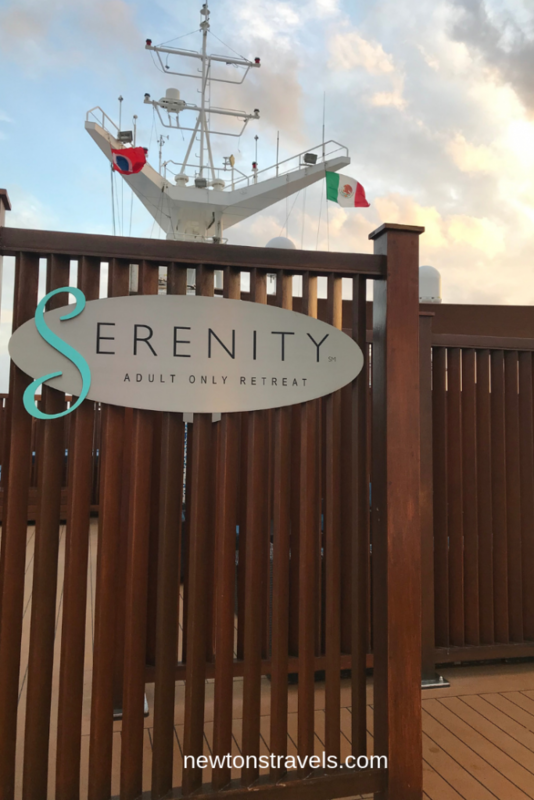 We did get in a hot tub on Serenity, the adult only deck once but it was nothing exciting. We did however stay on the other side of the deck on a very windy day and it was so relaxing. Kev covered me head to toe, literally with a sarong and two Serenity towels. We loved those towels so much we bought two to bring home. There is a water slide on the Carnival Victory that Kev went down a few times. It looked fun. Once you enter the lido deck facing the large movie screen, turn around and you’ll see it. We played miniature golf, bean bag toss and walked a bit on the running track. Hardly anyone was up there since it was SO windy. But we still had a great time. We can make the most of any situation! There are casinos that were bustling with fun but we couldn’t stand to walk through those unless we absolutely had to get from point A to point B. It was full of smoke that you could hardly enjoy it. When we got on the ship we were invited to try out spa massage samples so we headed up to the spa to partake because you know we love our couples massages. It was nice and we booked a great spa deal on the spot for that very first day. The hot stone couples massage was good but I don’t think we would go back for another one next time. At the end of the massage, all you really want to do is relax but they were extremely pushy with the sale of their spa products and it just put a bad taste in our mouth for future spa experiences on Carnival. We did like the gym although never used it. We walked SO much! The gym has panoramic windows you can look out at the sea where ever you choose to workout. It’s a bit dark in the gym but having all those windows help. We sat in the beauty salon while waiting for our couples massage. I wouldn’t mind treating myself to something there next time. A new hair color maybe? Some type of scalp treatment? Sounds good to me! There were plenty of fun stores to peruse like high end jewelry stores, art galleries and more. We bought shirts, jewelry (a 2 for $20 ring sale), candy and the photos they take while at port or on the ship. I love the rings I bought and wear them every day. We chose two photos from the ones taken at port and I love them. Here’s one. On our last night, we made it a priority to go to the show, I didn’t want to miss it. I’m so glad we did because the Rock N Roll show was amazing. 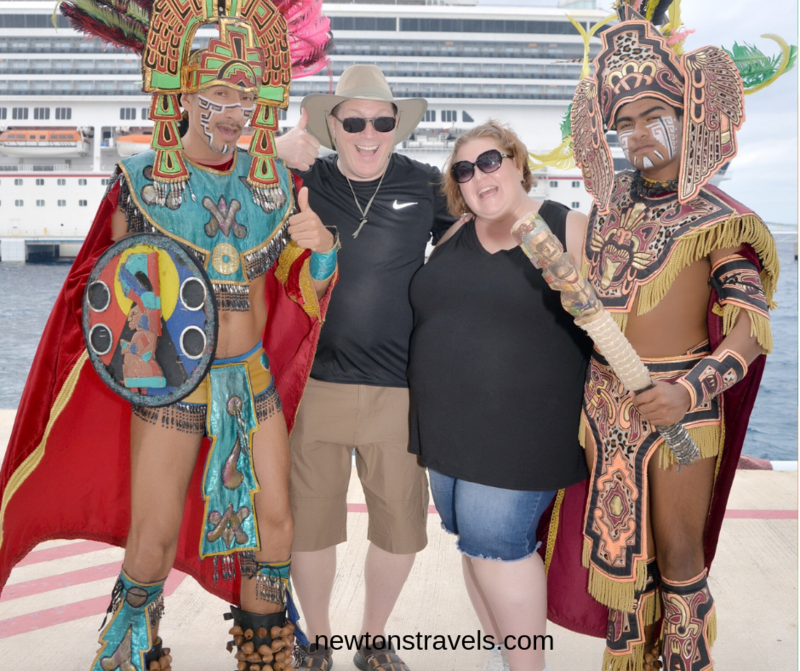 It was so much fun and something we will definitely look forward to on our next cruise. Here’s some of the show finale. The service all around was great. 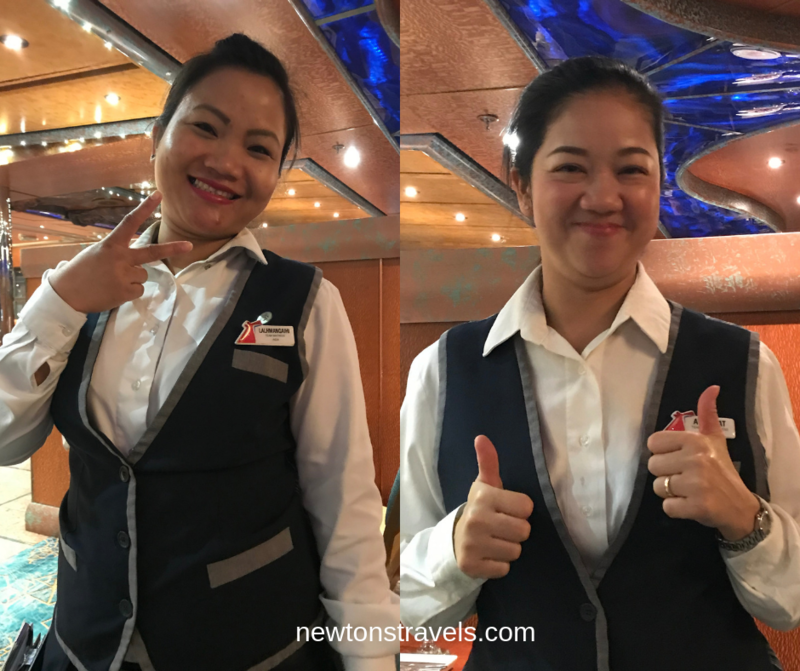 The staff on the Carnival Victory works hard and always had a smile on their faces and made a point to say hello in passing. Kudos to those who work on cruise ships. We talked to many of them and learned how their schedules work. Most we talked to were about to take their 2-3 month break and then it’s possible they get moved to another cruise ship. Some even another cruise line. Sounds like a fun and exciting job opportunity. I told you a bit about this above……We absolutely loved the FTTF (Faster to the Fun). 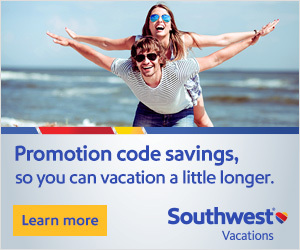 With this program, you get priority security, check-in AND boarding. This made it smooth sailing for us when we arrived at the Port of Miami. I nervously handed off our luggage to a porter, not part of Carnival because we had never done that before but it was all good. They mark your luggage priority with the Faster to the Fun symbol and should be first to the staterooms. 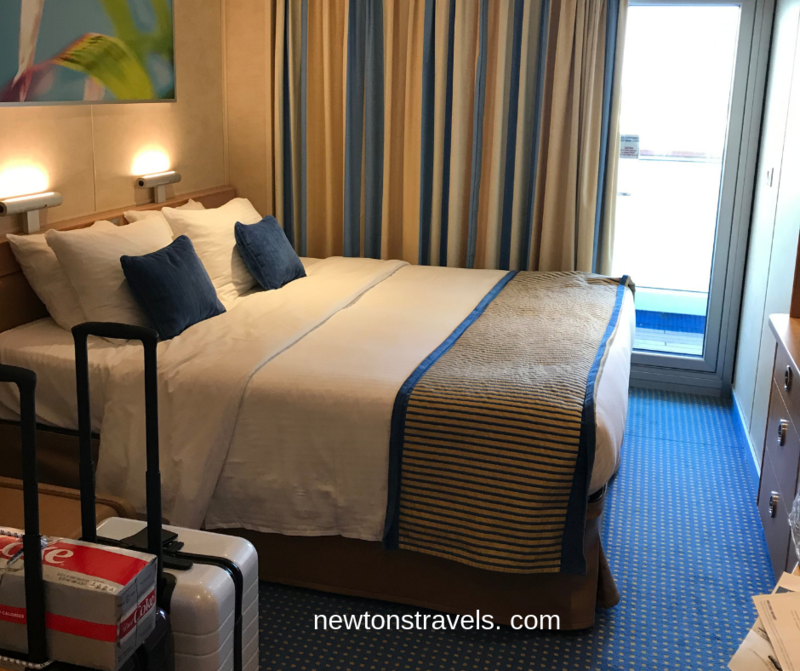 Once you are on the ship, you get first access to your stateroom, it will be ready when you board. At first we were confused because the big doors to the stateroom hallways were closed but you CAN go through them! Your bags should be there but again we did have to ask guest services where ours were however they took care of it immediately. And speaking of guest services, like I mentioned earlier you have your own dedicated line at the guest services desk AND a personal phone extension to call them if you have questions. That was a big help when we went to the guest services desk because the other line was really long. So we didn’t have to wait. Faster to the Fun guests get priority dining reservations, water shuttle priority and the option to choose early or late disembarkation when returning to your home port. The price for Faster to the Fun is per stateroom and covers all guests in that room. We would definitely purchase it again. It is not available on ALL Carnival cruises so just be sure to check out their FAQ’s for more in depth info. Get the Carnival app on your phone! You can only use it when you’re on the ship but you’ll look at it numerous times a day. At least we did. You will always follow ship time (not always the same as the local time) so you can always find out what time it is from this app. You’ll find daily schedules of entertainment, restaurant menus and much more. We bought the Value WiFi Internet access package. It was hardly worth it. The connection was spotty at best except for the Carnival app so I’m not sure we would buy it again and just do without. I couldn’t upload a simple Instagram photo. No bueno. We had planned to stay offline on this trip anyway but most trips I do need Internet access because I make my living online. So I’m not sure what I’ll do next time because I can only imagine the Premium WiFi plan wouldn’t be much better. If you have had experience with it, let us know! What we highly recommend you do though is buy a Teppy from Tep Wireless using our referral link. You can use that while at port to get fast and reliable service. It worked really well in Cozumel, Mexico. Thank you Tep! On the topic of apps, here’s a list of 8 travel safe apps you might not know about. Speaking of ports, the two on our cruise were Key West, Florida and Cozumel, Mexico. We had a really good time at both. Look out for the post coming all about our experiences at port. As you may have gathered from our post, this was the best first time cruise experience we could have asked for and I am so thankful we got through it just fine. It was so.much.fun. I had kept my fingers crossed that the ship would be decorated for Christmas and IT WAS! They had Christmas sing along’s and we even saw Santa! I absolutely loved all of that. 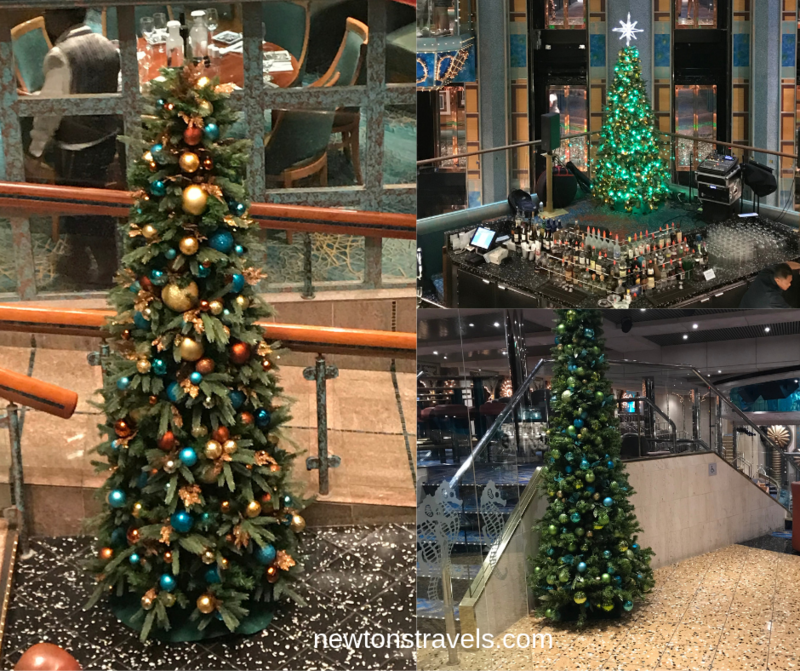 The Christmas holiday’s are my favorite and I sure hope we get to experience more cruises during that time of year. We prepared for the cruise by watching a lot of videos and started following other cruisers. I joined my friend and our travel agent’s travel Facebook group at EECC Travels. They have great info, videos and most of all their members are awesome….so go join. 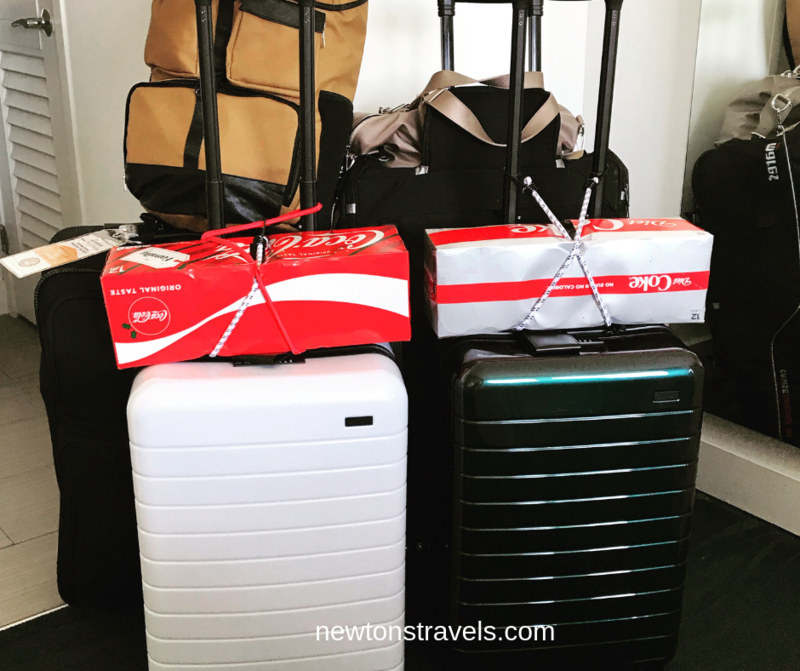 We are pretty well equipped for our next cruise booking and what to buy and what is not really necessary. One of the touristy things we did was photos. They have so many photo ops you can choose from on and off the ship and then obviously they want you to buy those photos. We chose two out of the the many we did and I’m glad we have that memory. One thing we will skip next time is taking wine/champagne on board since we don’t really drink that much. We had each brought a bottle and although a fun plan in theory we had no interest in drinking it so we gave it away to our dinner mates. This cruise was perfect for us as a couple. 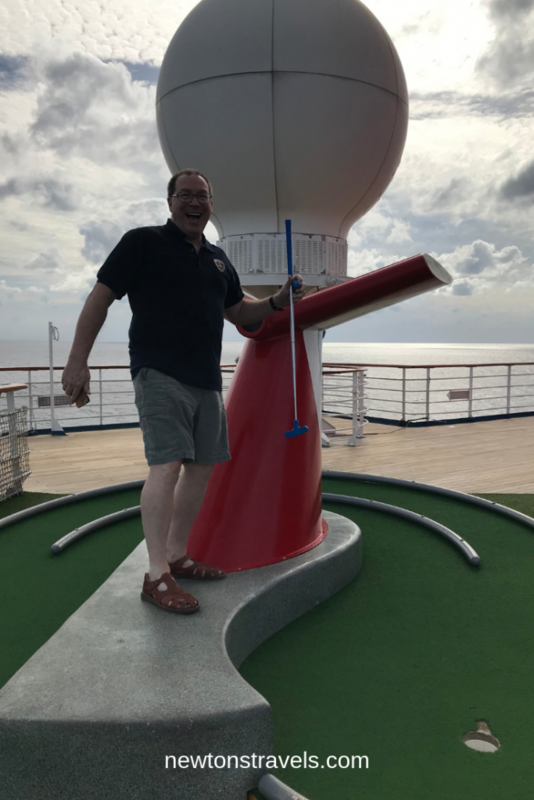 There was plenty of downtime which was our goal but there is also plenty to do on the Carnival Victory cruise ship. We came away feeling recharged and ready for the hustle and bustle of the holiday’s. NOTE: The Carnival Victory will have a huge overhaul and transformation soon. She will come back the Carnival Radiance when she sets sail in 2020 and will even have a suspended ropes course. So cool. Read more here. I’m sure we will learn more as we go on various cruises in the future! And we’ll be sure to share our experiences with all of you. Have you ever been on a cruise? If so, tell us about your best first time cruise experience. We want to hear all about it! Sounds like you are already on your way to planning the next one!! Hey Alisa! Yes it was great and you’re welcome. So happy I chose you. We are in discussions on the next one, I’ll be in touch once we nail it down. Keeping my fingers crossed!